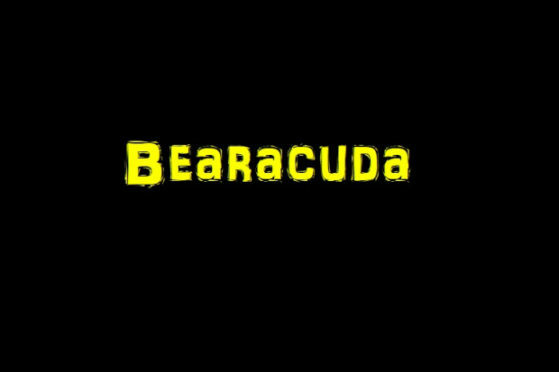 Bearacuda is the first short of many planned from Vulgar Films. Vulgar Films was founded in 2016 by Horror Society’s Mac Brewer and former Bloody Banter & Bazaar reviewer Ryan Musick with the goal in mind to create low budget films that they both love so much. Sadly, life had got away from the two but they are back and ready to tackle their first film. Mac is an avid horror fan but appreciates other genres and that shows with Bearacuda. With this short Mac wants to tackle the bigfoot films of the 70s while paying tribute to the early works of Chris Seaver, Troma, and Rock Bottom Video. The film will be full of humor, horribly written dialogue, and could deemed offensive if you are lame. So far Brandy Mason has been cast in the film and the movie will feature music from Matt Mullins & the Bringdowns and Foz Rotten & His Dirty Scoundrels. Props, wardrobe and effects will be handled by Chris Sizemore. Our goal is to raise $2000 dollars. The film needs several props and effects for the creature with a special custom mask from DWN Productions. Money will also go into the perks themselves such as DVD/Blu printing, as well as, production equipment that we are lacking. The physical copies being offered in this crowd funding campaign will never be available again. There will be an additional 30 copies (15 DVD and 15 blu) that will be made for cast and crew with the remainder to be sold at the premier. Once they are gone they are truly gone. If, big IF, the campaign raises more than the 2K we need for the short the extra funds will go into one of the other shorts and features planned from Vulgar Films such as Fart Harvesters, Fatbacks of West Virginia, and The Elder Boogers. We get it. Sometimes you can’t contribute to a campaign such as this. Honestly, I would be hesitant as well especially considering the price of the DVDs and blu for a short. I’ve been there before and had to debate if I should pull the trigger or not. If you don’t want to or you can’t contribute to our crowdfunding campaign you can still help by sharing the link. Hit up social media and share it around for us. The exposure helps!